Reclaim pain free active life! Dr. Suman K Nag is a Consultant Orthopaedic Surgeon, Joint Replacement, Sports & Arthroscopy Surgeon. Dr. 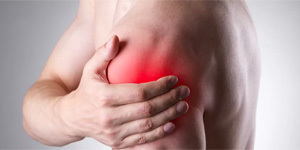 Nag is highly qualified in the field of Orthopedics. He has done Post-Graduation in Orthopaedics from SCB Medical College, Cuttack followed by residency at Dr. Ram Manohar Lohia Hospital and Post Graduate Institute of Medical Education and Research, New Delhi. During his training, he received ample exposure in various areas in the sphere of orthopaedics. Shri Krishna Hospital, Main Road, New Rajendra Nagar, Raipur, Chhattisgarh, India - 492001. Dr. Suman K Nag © 2019. All Rights Reserved.